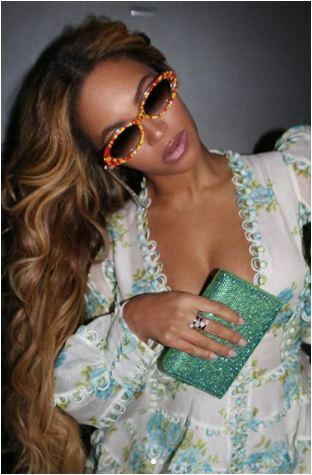 Mother-of-three, Beyonce looks like a princess in these photos of her dressed in a white dress with blue and green floral design. 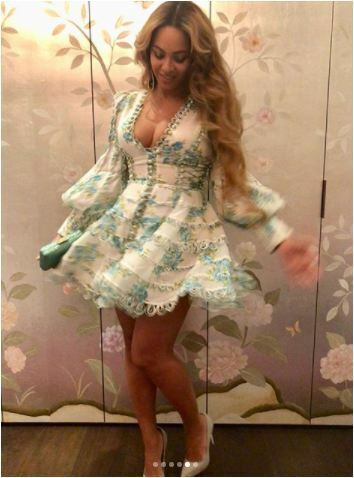 The lovely dress flared at the waist and stopped mid-thigh. She paired it with a lovely pair of grey pumps. 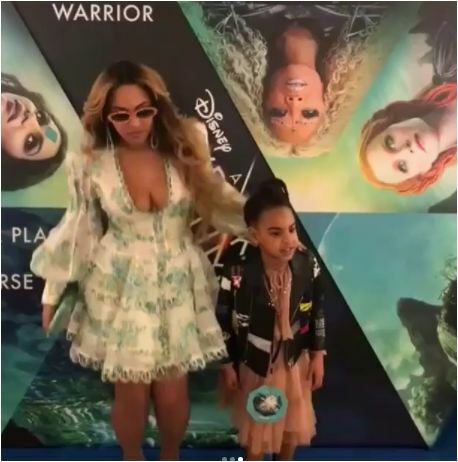 Her first child, Blue Ivy was seen in one of the photos with her.